This year a digital layer has been added to the essential marketing tools needed to promote your business. Video is a versatile way to successfully interact with your target audience, pique their curiosity and visually tell your story. Guess what! Yes, there are millions of other businesses offering the same thing that you are. Make your business stand out by providing unique messages and methods of distribution that will grasp potential customer’s attention. As publications are amping up their digital platforms they are starting to utilize video more and more. Business of Home who describes themselves as,“the daily media of record for the home industry, and the voice of authority for interior design professionals”, has now shifted more of their stories to videos. They have an array of content available to their audience including; special events, designer profiles and collection launches. House Beautiful, the 100-year interior design publication, has added a video element to their website and has also created a YouTube channel that now has over 6 million views. On this platform audiences get an insider guide to new retail shops as well as designers projects. The way advertising has been constructed in the past has completely been transformed today. With the help of digital platforms, viewers no longer see advertisements and promotions as just that, however they see it as infotainment. High Point Market Authority capitalizes on this opportunity by promoting their trade markets on YouTube through a series called, “The Faces of High Point.” These videos give their audience a peek into the attendee’s experiences while simultaneously promoting the event. With the help of this series, which includes our client Wakefield, this channel has received over 550,000 views, a win-win for brand awareness. Blogs like, Quintessence, founded by Stacey Bewkes roughly seven years ago, have also gained heavy traction by incorporating video into the mix. With the help of her co- creator, Susanna Salk, their popular YouTube series called, “At Home With”, provides exclusive insider access to top designers and tastemakers at home around the world. As of April, 2019, they have generated over 6 million views as well as over 30,000 subscribers to their channel. These big numbers have created sponsorship opportunities for Salk and Bewkes. Sharing information digitally is a tool that is more cost effective than prints, therefore should not be overlooked. The success these blogs and businesses have seen, proves that it is vital to have a digital platform and begin utilizing the tools that will help you reach a new audience that has never seen you before. Keep your video cohesive with any other marketing campaigns you have done in the past. Brainstorm a strong story that will keep the customer intrigued. Attach an emotional aspect to the message that the viewer can connect with. Implement the call to action. Be sure to provide the viewer with the point that you are trying to get across. Right here in our backyard, is the idyllic town of Greenwich, Connecticut that is so rich with extraordinary design and home stores, restaurants and luxury retailers, flocked with some of the finest decorators and charming locals and yet somehow nothing had been done to celebrate this! 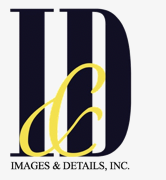 Thanks to Beth Dempsey, our President and Founder of Images & Details, Inc. “There is always strength in numbers.” says Beth. Something must be done to bring us all together and celebrate the passion that everyone has to offer one another. “The number of design related businesses has grown exponentially, so the idea of forming a group makes good business sense for all involved. The design industry is an inclusive one and they realize that a success for one is success for all.” Many exhilarating months later we transformed this missed opportunity into a dazzling event and our Greenwich Design Districts’ October 2017 Taste and Tour event took form. Fourteen different shops participated and attracted more than 300 participants throughout the evening. There were book signings, special art events, new product launches, celebrity designer appearances and many more activities within each shop. These relationships ignited conversations that helped create collaborations between designers and consumers. Not surprised by the results but nonetheless overjoyed, we added another Greenwich Design District (GDD) event to the June calendar, a “Day of Design”. The objective of this event was to highlight the Interior Design community. We wanted the participants to be able to learn, shop and engage with their peers like they did in the Fall. We created a charming hand-drawn map by B. Russell Melzer of Greenwich by B. Russell Melzer to guide people around the design district. Here the design professionals, influencers, editors and consumers gathered to experience the latest trends in design. The energy that day was vibrant and enriching! Day of Design featured more than 15 talks, lectures, book signings, conversations, meet-and-greets in members’ shops and showrooms. We arranged for attendees to meet some of the design industry’s best editors of the time such as Sophie Donelson, Editor-in-chief of House Beautiful long with Traditional Home’s Style Editor Tori Mellott and Serendipity’s Home Editor, Stephanie Horton. There was a Color Analysis demonstration as well as the opportunity to get behind the scenes to look at some of the coolest lights. Many learned about licensing and the business of design and how One King’s Lane founder designed a collection for the Shade Store. Some attended a stimulating talk on discovering how antiques are being featured in some of the most contemporary spaces. It was imperative to us to have the event run as smoothly as possible for everyone yet also have the viewers get the most out of it and have FUN. Other than the ads, newsletters, e-blasts, PR out-reach and social media posts, we also created the GDD website (www.greenwichdesigndistrict.com). At the time of the event, the website had already been viewed by more than 600 people. This had provided accessible event information at the fingertips of the participants. Afterward, in the Blog section of the GDD website, different participants and speakers have tips posted on their different fields. It is important to us to have viewers always thinking about the event this way so it can grow for years to come. We have now just completed our Second Annual Taste and Tour event: “Setting the Scene for Fall”. On October 17, thirteen different shops participated in the evening! Their doors were opened inviting participants to discover the latest trends in interior design and entertaining. Attendees were encouraged to meet design influencers, view new exhibits, get a book signed, learn about the importance of good lighting, savor local food and cider, admire special designed windows, enjoy music and many more activities within each shop while enjoying their tour of the Greenwich Design District. The more shops each guest visited, the higher chance they had in winning a raffle prize. This was such a great way to see what was new all in one evening! Create brand appeal that speaks to the audience you are targeting. Produce quality tools and materials that proudly represent the company and your agency. In preparation for a launch, whether it is a product, company or community, research and planning are key to a successful outcome. Understand the perception consumers, designers and media have of the brand and learn who you are targeting. Then tie that research into the overall goals and objectives of what you’re trying to accomplish. Most recently PETER FASANO launched a new textile and wallpaper collection and the objective was to introduce it to trade (designers) and media outlets catering to the interior design industry. The overall brand image and verbiage should flow across all tools and materials for any launch. Every aspect of the packaging needs to be thought out and unified in order to be able to have the most impact. For PETER FASANO it was thinking about tangible tools that will represent the quality of the brand and display the new collection. As Summer was approaching, we focused on what was an appropriate Summer item people will be able to utilize but also has the ability to be customized. A tote bag and water bottle came to mind as items we thought would resonate and allow us to display the patterns and prints in a unique way. This was a creative way for the designers and editors to keep thinking about the collection all Summer long. The tools have garnered positive feedback, editorial request and created social media buzz. Marketing materials like these continue to allow the brand to be involved in conversations in the marketplace. A well-strategized event can absolutely help a business grow and attract new Target audiences. Take Putnam and Mason, for example—a fairly new interior design shop in Greenwich Connecticut. They were looking to raise their profile and reach both designers and luxury good consumers. Images and Details recommended a book signing with author Miguel Flores-Vianna for his new book The Haute Bohemians. While planning an event, timing is a fundamental element that can often determine the success or failure of the event. In this instance, the thought was to highlight that The Haute Bohemians was one of the top 10 books for the holidays and was featured on the New York Times bestseller list. This enabled us to attract media attention in advance and get both pre-stories and blog features. As a result of a well-timed event more than 70 books were sold, the venue was filled to the brim with guests and a fun time was had by all to boot. Next in our book series was The Authentics by Dara Caponigro. Caponigro is currently the creative director of F. Schumacher & Co. and was formerly the editor-in-chief at Veranda. Additionally, she was the founding editor of Domino where she also served as the style director. Caponigro’s illustrious resume allowed us to utilize her large network to our advantage for this book signing event as well.